U.S. Navy destroyer USS Paul Hamilton (DDG-60) is pictured docked at the south harbor in Manila, Sept. 8, 2015. What do the U.S. Navy and a welfare asset test have in common? It’s a strange question with multiple possible answers, I know. You could say something about corporate welfare or government waste, and you’d probably be correct. That’s why “all of the above” is an option on many tests, and a reasonable person could conclude Gov. Paul LePage’s proposed food stamp asset test also is correct. The food stamp asset test was enforced through most of Gov. John Baldacci’s tenure, and it was only repealed in his administration’s waning days. It does not apply to people’s homes, clothes and cookware, or tools of their trade, be they farmland, taxis or lobster boats. It does apply to all-terrain vehicles, snowmobiles and cash exceeding $5,000. Some commentators have insinuated this asset test would negatively affect families with children under age 6. That sounds terrible. Fortunately, it’s not true. The plain language of the rule states it does not apply to households with children under 18. So who does it hit? Adult men and women without kids. “Adults with jet skis but no kids” are not likely to show up on anyone’s list of “Maine’s most needy.” So why are people opposed to this? They have a few different arguments. The first is, basically, people should not have to firesale their assets when they suddenly find themselves in need. It is a very reasonable point. Yet, since we have already established those affected by this change are adults without children, there is a logical question: How did they acquire these assets? The answer is they probably had a job. Thousands in cash does not just appear, and snowmobiles, ATVs and the like are not cheap to run or register. Why keep them if you are not using them? And if you were using them, you were paying that cost somehow. The fact is, if you lose a job through no fault of your own, you are eligible for unemployment benefits averaging $273 per week in Maine. Not luxurious by any stretch but enough that a responsible, working-age adult could still take care of some basic necessities for a time, eliminating the need to sell assets at a fraction of their value — they can list it and wait for a fair offer. Another rationalization states we need to let people keep their savings and provide food stamps. That way, they do not need to spend their own resources. It is a peculiar argument: Why have a rainy day fund if not to spend during life’s rainy days? Nevertheless, let us accept it for the moment. If we want to provide people with benefits so they need not spend their own money, why bother with a food stamp-issuing bureaucracy at all? Why not send everyone a check directly and save the payroll cost? That is an argument for a “negative income tax” or “guaranteed income,” a policy that brought together the economists Galbraith and Hayek and holds real merit. But that conversation needs to encompass all benefit programs and our tax code — it is a broader topic for another day. The last argument against the proposed asset test sounds like it should appeal to fiscal hawks: It is a bad investment. It costs more money than we save. The Department of Health and Human Services has challenged that assertion, but let’s assume it’s true for the moment, which brings us back to the Navy. On Oct. 13, we will celebrate the Navy’s 240th birthday. We claim its origin in the Continental Navy, but its rebirth can be traced to the early days of the Republic, when our merchant vessels were harassed by Barbary pirates, as well as the fleets of England, France and others. In 1797, American diplomats attempted to maintain freedom of navigation for our commerce and sought an accord with France. In exchange, the French minister asked for millions in loans and a massive, personal bribe. 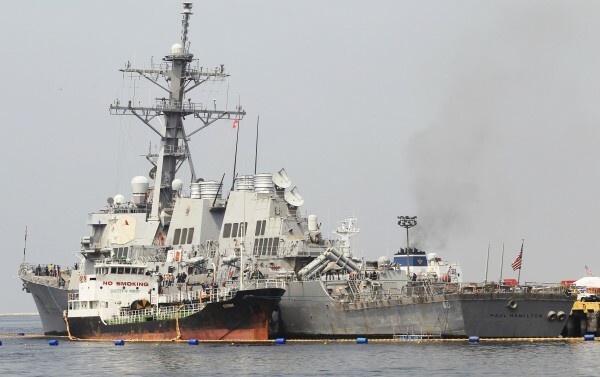 Americans were outraged, leading Rep. Robert Goodloe Harper to famously exclaim: “Millions for defense but not 1 cent for tribute!” And Congress then appropriated millions to finish completing America’s first frigates. LePage’s proposal and Harper’s exclamation reflect two of the same realities. First, whether it is a strong national defense or stringent eligibility standards, we can’t adequately measure deterrence through a general ledger. But more importantly, there is an element to our national character that seeks to right perceived wrongs. Dollar-for-dollar, it may have made financial sense to pay France instead of build, man, equip and sustain a Navy. And it may cost more to administer the food stamp asset test than taxpayers will save. But there are hardworking men and women throughout Maine who do not have jet skis, snowmobiles or ATVs, trying to do right and get ahead while paying local, state and federal taxes. We can spend millions in support for the truly needy and millions to ensure only the needy receive it. The LePage proposal declares we should not spend 1 cent for adults with assets, without children, and you will likely find most Mainers agree. In other words, if you want food stamps, you might have to give up the ship. Michael Cianchette is former chief counsel to Gov. 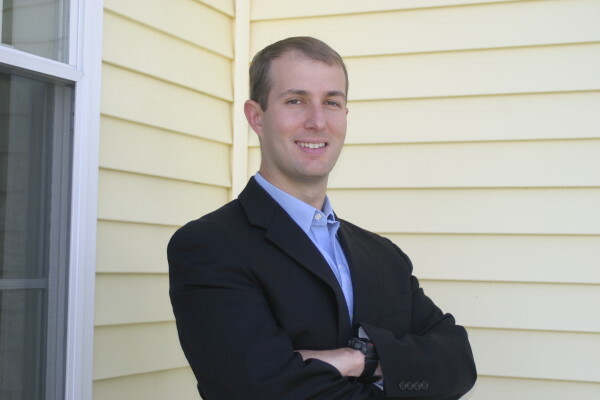 Paul LePage, a Navy reservist who served in Afghanistan and in-house counsel to a number of businesses in southern Maine.